I have now worked a whole week at my new job. I’ve not done much due to the fact that I’m still waiting on getting access to the systems. I’ve surfed on the Intranet and read several documents in order to learn the configuration management process for both the company and for the specific project I’m going to work with. After several months without an assignment at the consulting company where I previously worked I’m so happy to finally have somewhere to go every weekday. I love the fact that I’m now an employee at a company and not a consultant. Charlie enjoying his new gift. You got a new job? Well done!!!! I hope you enjoy it. I find I love a new job after about a week or two when you know where everything is and a few people etc. lol. 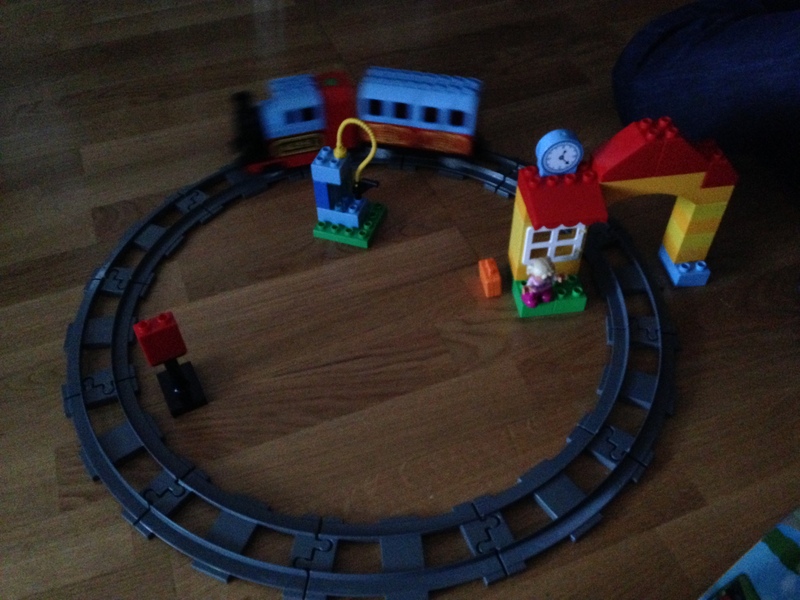 Cute train set – duplo is the best, isn’t it!??!?? Thanks! I was headhunted so getting a new job was fairly easy this time. 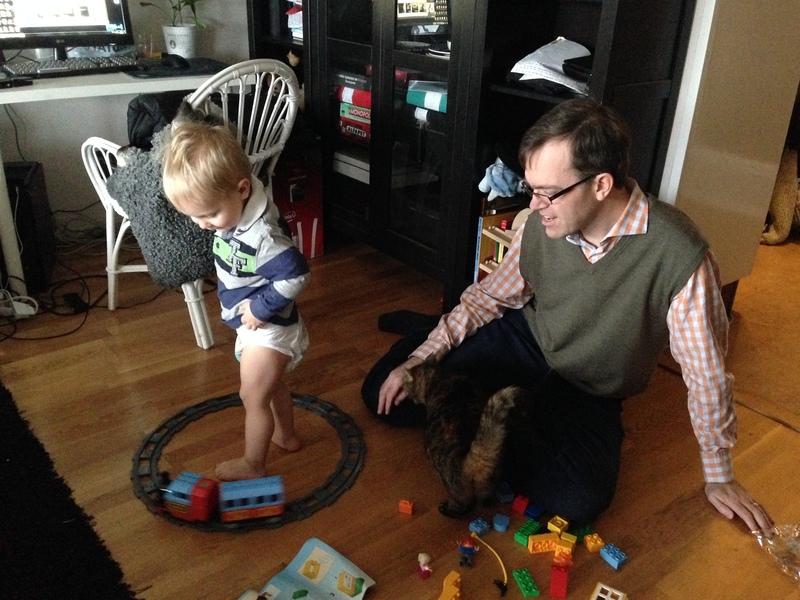 😉 I loved that train set! Duplo is great, indeed. So many fun things to buy and play with.